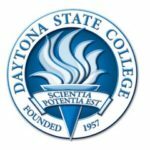 Daytona State College honored 162 students along with three employees during its annual outstanding student awards convocation held April 11. The awards convocation is the preceding event to the college’s commencement exercises that will take place on Monday, May 13, at 9:30 a.m., 2 p.m. and 6:30 p.m.at the Ocean Center. Students were recognized for their academic, community service and athletic achievements. Among the award winners, 19 were named to the Falcon Engagement Award program and 15 were inducted into the college’s Hall of Fame – the highest honor the faculty can bestow upon a student. Induction into the college’s Hall of Fame is based on the highest standards of excellence in scholarship, leadership and citizenship. The 2019 inductees are: Austin Dreher, Ashley Greindl, Zoey Gurvich, Alexander Kinney, Sandy Lake, Kyra Lieberman, Cloee-Anna Merritt, Stephen Miksits, Brian Norton, Jessica Pandy, John Parkhurst, Melissa Sam, Tessa Sweeney, Augusta Thomas and Carmella Walker. Selection to the Falcon Engagement Award program is based upon academic excellence as well as contributions to the college and the community. Students selected for 2019 are: Annie Baker, Rachel Brown, Sadie Chlapowski, Caley Crawford, Alison Crenshaw, Elizabeth Dilger, Austin Dreher, Kayla Garber, Cloee-Anna Merritt, Breanna Nax, Brian Norton, Jessica Pandy, John Parkhurst, Carmenlita Portugal, Maylin Rodriguez, Melissa Sam, Tessa Sweeney, Augusta Thomas and Carmella Walker. Since 1999, a faculty member has been selected to receive the Presidential Teaching Excellence Award. This year’s recipient is Dr. Linda Cupick, senior professor, School of Business Administration, and assistant chair, Paralegal Studies/Office Administration who has been with the college since 1990. Frank Mercer, director of the Center for Business & Industry, and Johnnie Cortes, campus safety officer, received Employee Excellence awards.